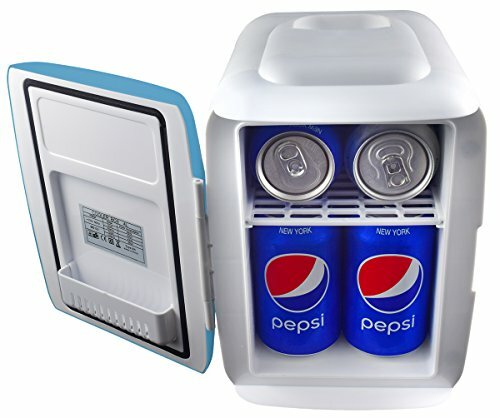 SWITCH FROM HEATING TO COOLING: The thermoelectric system allows for easy switching from beverage cooler to food warmer! Holds up to six 12 oz. cans. Ideal size for use at home, in the nursery, office or dorm room – Mom’s love the ability to keep milk or formula at the right temperature. Bring your lunch to work in the morning and keep it hot all day. Change from cooling to heating with the flip of a switch! SLEEK, DURABLE DESIGN: The Cooler & Warmer has a beautiful matte finish on the outside. Sleek enough to leave at home or in the office – fits perfectly on your desk. Simply wipe it down to clean the inside and outside. 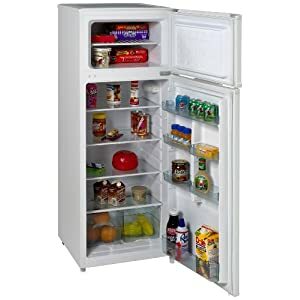 The lightweight, sturdy polypropylene (PP) plastic design and magnetic self-lock latching door along with included DC adapter makes the Cooler/Warmer portable. The carrying handle on top makes transporting the appliance even more convenient. 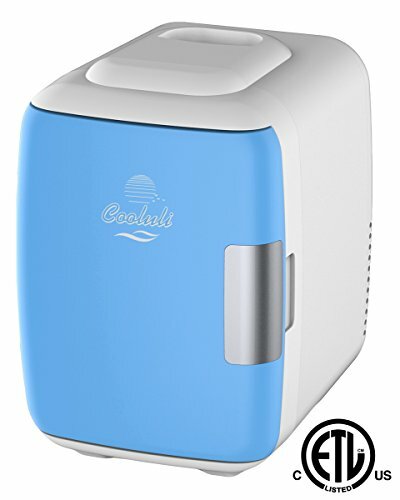 The Cooluli 4L Cooler & Warmer is perfect for home and office use in addition to in the nursery, office or dorm room. It’s capable of holding six (6) 12 ounce cans. 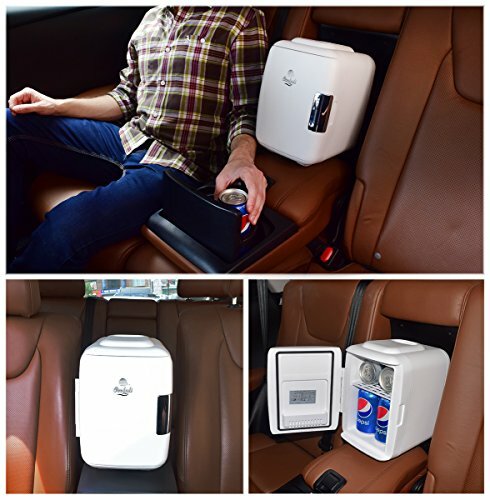 Our thermoelectric cooling system is popularly used as a beverage cooler, but the warming function should not be ignored. Save time in the morning by bringing your breakfast with you or save money by bringing your lunch and keeping it warm all day. 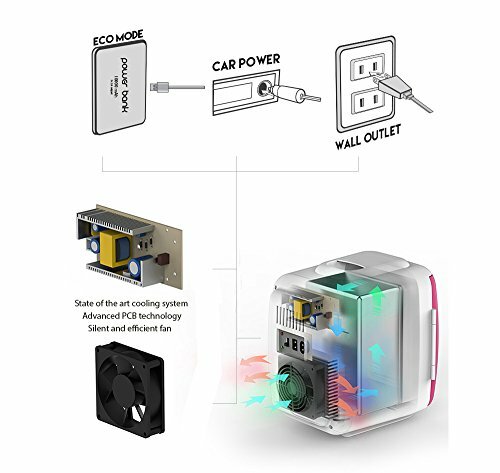 Plus, we included both AC, DC and USB power cords to make the switch from standard (110V) to car (12V) to USB 2A power bank easy and convenient. No want to buy extra wires! We made it incredibly easy to switch from the cooling to the warming function as well. An easy-to-read display lights what setting the appliance is on and may also be changed by simply flipping a switch. 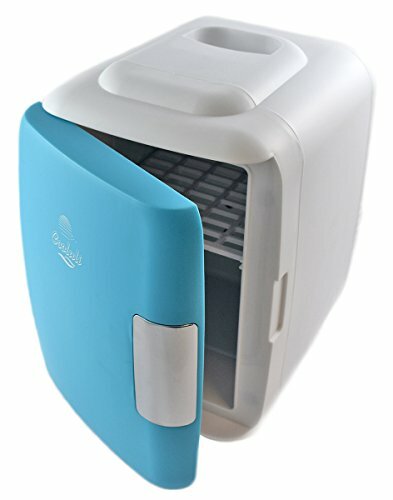 The Cooler & Warmer produces almost no noise (perfect for next to your bed to save a walk to the kitchen) and is compact and sleek enough to put on a desk at work. 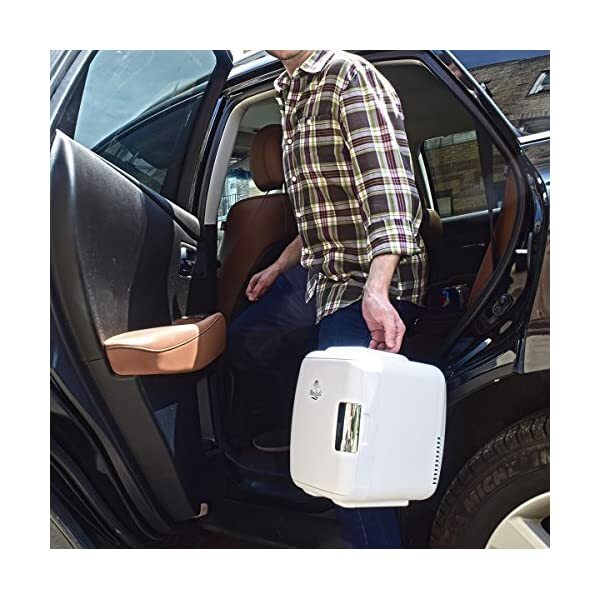 Cleaning the interior and exterior is extremely easy, simply wipe them down and the storage shelf inside is removable as well (for even easier cleaning in addition to expanding to hold four 16 oz. bottles.) 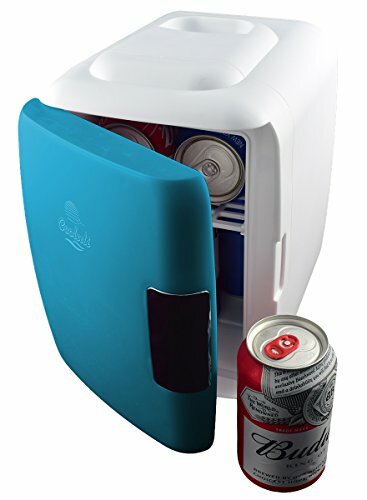 The Cooluli Cooler & Warmer also comes in five different colors: white, blue, pink, fuchsia and cow pattern. We’re proud to offer unique, innovative products and wanted to provide the options to match your room and style. SLEEK, DURABLE DESIGN: The Cooler & Warmer has a beautiful matte finish on the outside. Sleek enough to leave at home or in the office – fits perfectly on your desk. Simply wipe it down to clean the inside and outside. 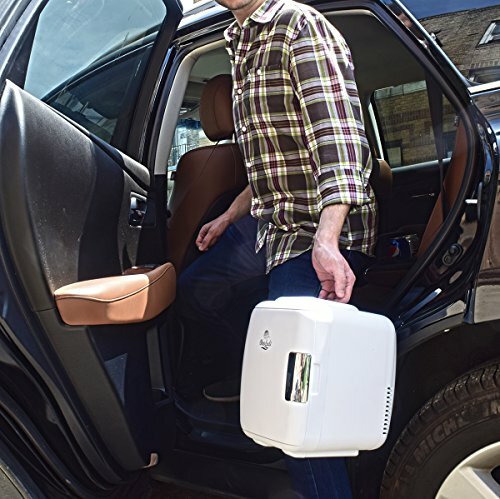 The lightweight, sturdy polypropylene (PP) plastic design and magnetic self-lock latching door in conjunction with included DC adapter makes the Cooler/Warmer portable. 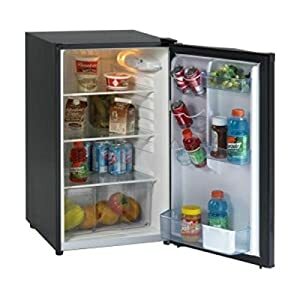 The carrying deal with on top makes transporting the appliance even more convenient. 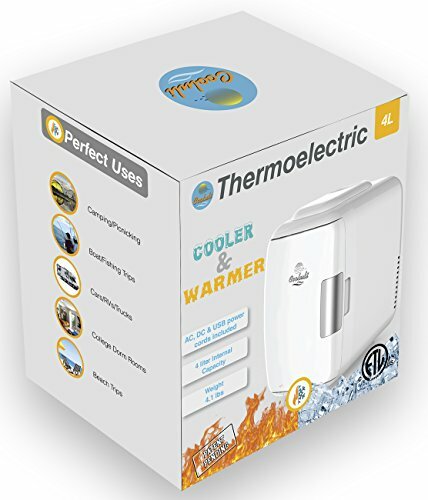 THERMOELECTRIC COOLING SYSTEM: The thermoelectric cooler and food warmer works by transferring heat from one side of the device to the other in conjunction with electric energy. It’s advisable to wait 30 minutes before going from cold to hot. The Cooler & Warmer is 100% secure and Freon free. 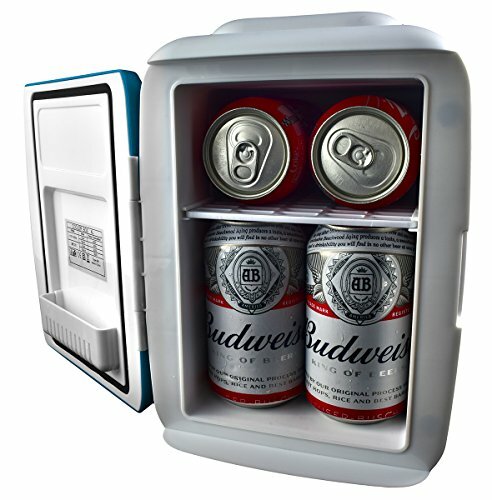 Since thermoelectric cooling works without refrigerants the Cooluli Cooler & Warmer is also environmentally friendly! Sale! 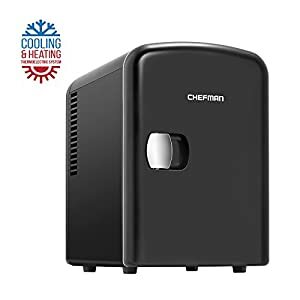 Amazon.com Price: $43.99 $42.99 (as of 11/06/2018 11:17 PST- Details)	& FREE Shipping.